Ho Ho Holiday Spectacular! Empire City Ballroom Party. Empire City Casino, Yonkers NYDinner/Dancing/Gaming and Professional Ballroom and Latin Dance Show...Featuring Oleg Trebunski, 6x Russian National Champion, Salsa Professionals, PLUS a student showcase from Paolo's Swing program. 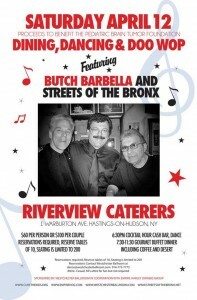 $25 includes gourmet holiday buffet. Cash Bar. Holiday Attire. Dance Hosts. Reservations required. Reserve tables for two, four or ten. Many tables are already reserved. Call now! (914)773-7773 Sign up and receive $20 in FREE Play. Existing members receive $5 in FREE Play. ID required. 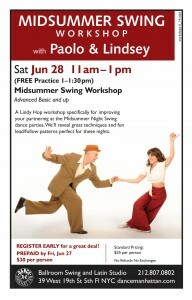 This 3.5 Hour workshop introduces you to the original style of swing dance. We'll cover how to partner, lead & follow, plus a variety of rhythms and patterns. Plus free intro swing class and *specialty workshops before the show! 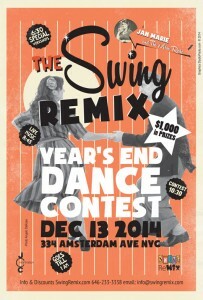 10:30 DANCE CONTEST to crown the Swing Remix Dance Champions of 2014. Winners receive over $1,000 in Gifts and Prizes. Get your Tickets NOW because we're expecting a full house and advanced ticket prices are at their lowest now. Add stylish partner combinations and patterns to your repertoire. Then Techniques for tossing tricks and dance dips. 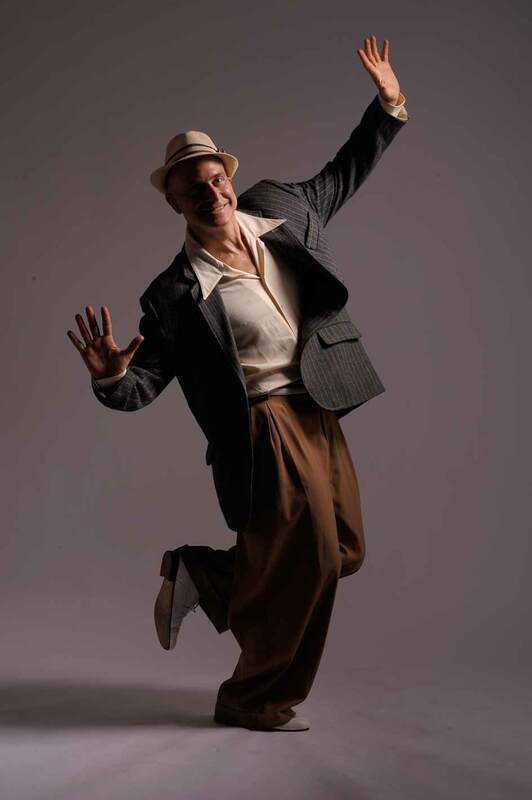 Footwork is an essential part of the Lindy Hop and we'll provide some of the classic jazz steps that have been carried down from generation to generation. this is a great way to add authenticity and style to your dancing. 6:30-7:15 pm Jazzy Footwork Dance Workshop (All levels). 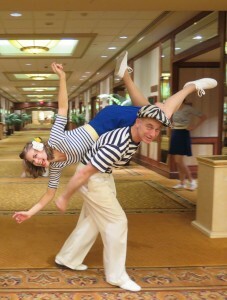 Back in the day, Dance couples & tap dancers alike would jump into side by side lines to showcase their favorite material. This workshop will feature several of these fun jazz steps and teach you how showcase them! 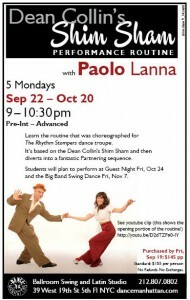 The Final Swing Practice at Dance Manhattan is Tuesday NOV 18th. In Homage, We'll extend the practice time an extra half hour and go till 11PM. Please Join us to honor this school and this program. Let's do a BYOD! Bring You Own Desserts! We'll set up a table with students favorite late night snacks, fruits, and what ever you think would be a nice addition to the night. 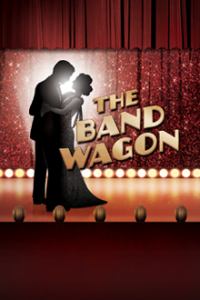 Laurentina and I are joining the great folks at New York City Center for their opening celebrations of the SHOW "The Band Wagon". 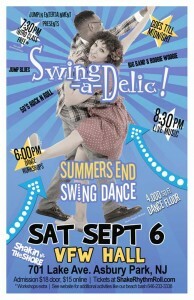 We'll be giving a Dance Lesson and demo to the guests of their GALA. 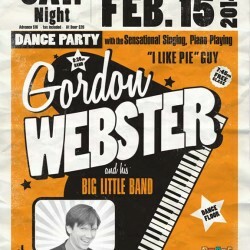 The fabulous Gordon Au & The Grand Street Stompers return to our venue for their forth appearance with us. And this time they are featuring singer Molly Ryan. The Grand Street Stompers are a good old-fashioned New Orleans kind of swinging hot jazz band, led by fresh-from-New-Orleans trumpeter Gordon Au. They delight swing dancers and music lovers with everything from Louis Armstrong hits and ragtime numbers to Disney themes and showtunes. 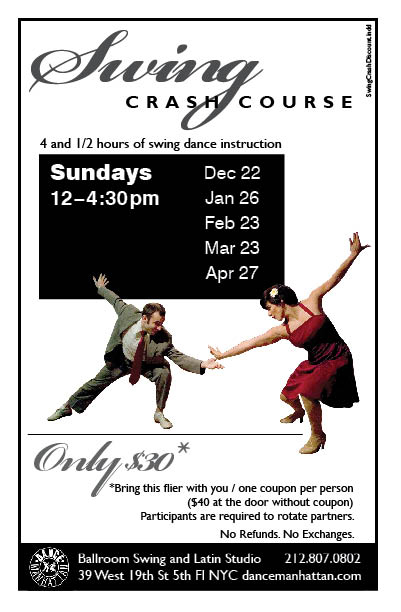 Learn the Swingout, Charlestons & Great Variations! For those who want to learn or brush up on the technique for 8-count Swingouts and Charlestons. 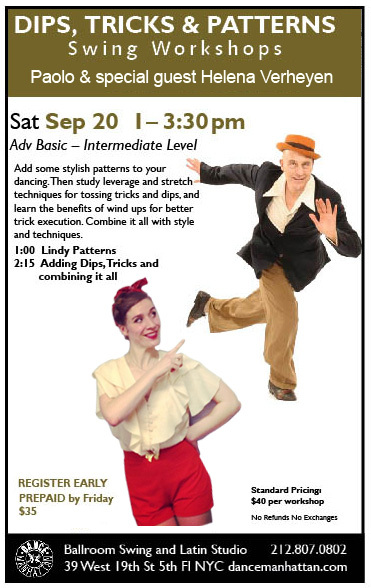 This one-day, three hour course, taught by two award-winning instructors, will focus on teaching and perfecting these two Lindy Hop mainstays and introducing a few variations. 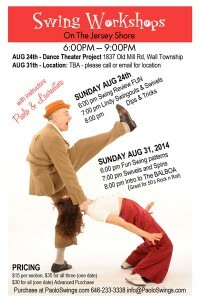 Paolo joins The Lindy Hop All-Stars to perform several routines during the competition breaks Saturday evening. Open to the public. Learn the routine that was choreographed for The Rhythm Stompers dance troupe. It’s based on the Dean Collin’s Shim Sham and then diverts into a fantastic Partnering sequence. Saturday October 18th will be a Double Header featuring opening band Fleur Seule, followed by the west coast’s most original singer and songwriter, Johnny Boyd backed by his Sensational Swing Lover Band. 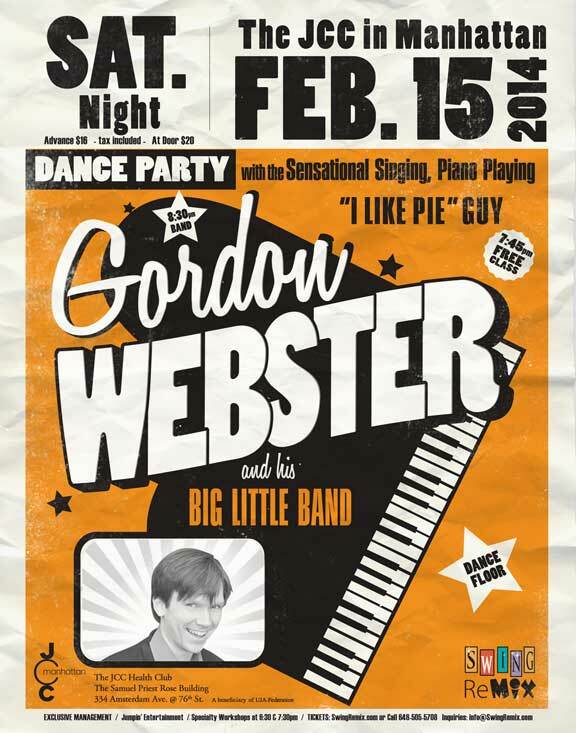 He formed Indigo Swing in the early 90’s and hit the dance-band circuit, bringing boogie-woogie and jump-blues music back from the recesses of memory to a nation crazed with jitterbugging and two-toned shoes. 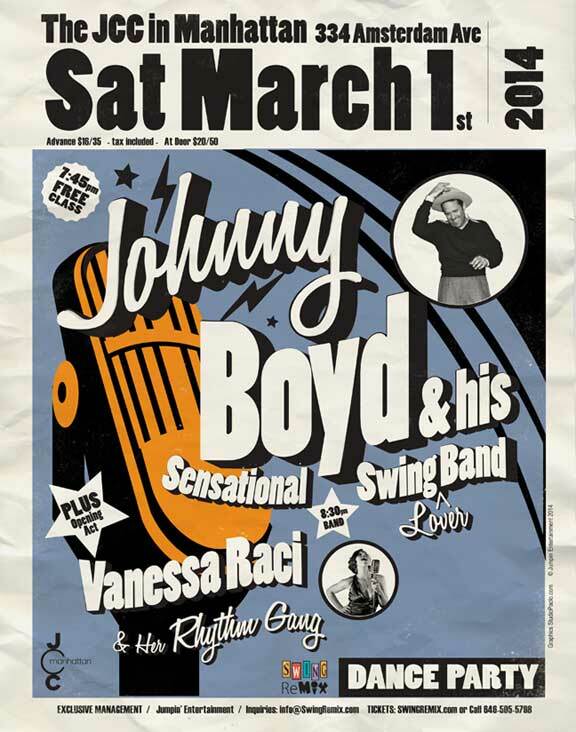 Now touring the world with his Sensational Swing Lover Band and touring the world, we're Pleased to have Johnny back again and this time in the Auditorium. "Fleur Seule plays Swing Era hits and Jazz standards that will transport you to the 1930s and 1940s: The times of hep cats and swingin' tunes. Led by vocalist Allyson Briggs, this dynamic band of old souls will have you humming and tapping your feet along to classics, and enjoying songs from the vault that you've never heard before." 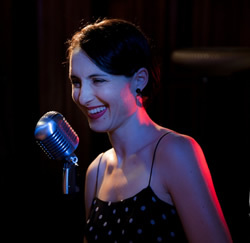 Fleur Seule. We're pleased to feature Fleur Seule for the opening act so get here early so you don't miss them! Professor Cunningham & His Old School play the NYSDS Sunday OCT 5th. I’ll be the DeeJay during the band breaks, spinning some of my most recent finds along with a few greats from my Hammond B3 collection. My Special Guest instructor on this workshop will be the fabulous Helena Verheyen from Belgium! Add some stylish patterns to your dancing. Then study leverage and stretch techniques for tossing tricks and dips, and learn the benefits of wind ups for better trick execution. Combine it all with style and techniques. REGISTER EARLY for a great deal! 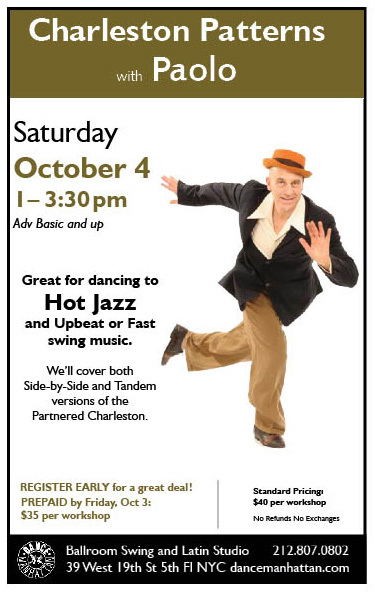 Ron Sunshine and his Hot Rhythm Orchestra will be our musical entertainment for our Fall Season KICK OFF on Saturday Sept 13th, 2014. 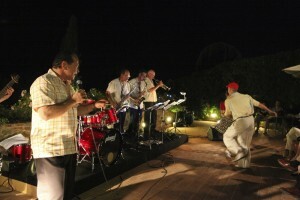 Ron’s Hot Rhythm Orchestra has been conceived and imagined exclusively for our dance crowd. 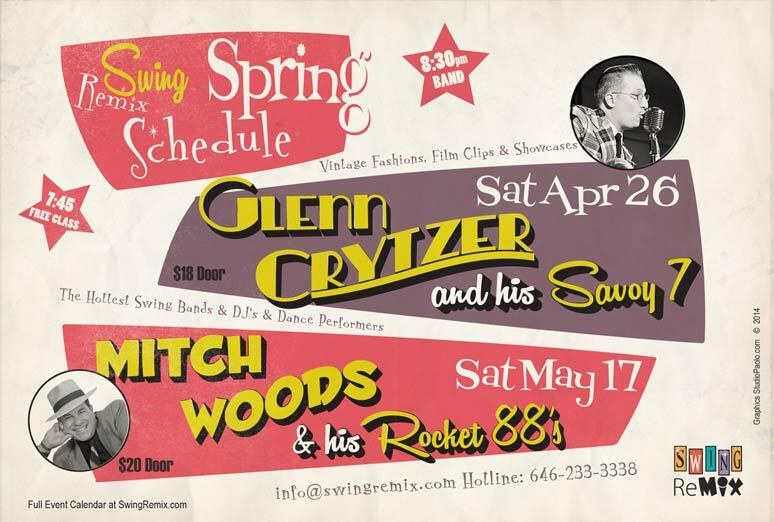 Ron Sunshine will be presenting a special set list of his most danceable music, selected in part by the dancers at Swing Remix. Ron will also be premiering two swingin’ rhythm & blues gems from the 1950’s that you likely have never heard before and that only a singer like Ron Sunshine can do justice to. One of these is “Keep Your Wondering Eye’s off My Baby” – Gil Bernal. 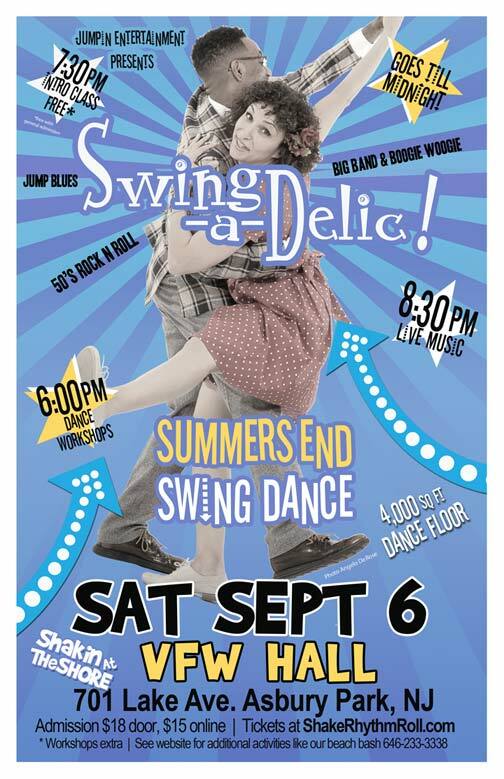 Jumpin’ Entertainment is thrilled to bring you another Swingin' & Shakin' Dance Party. 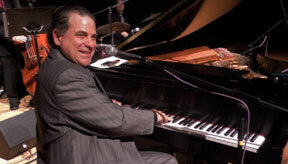 Swingadelic, known as New York City’s greatest “little big band,” delivers the solid big band feel of Ellington, Basie, Hampton, Sinatra, along with fabulous 50's Rock n Roll, Jump Blues and some Bang up Boogie Woogie. The band is a loved by the Lindy Hoppers and dancers alike but is also enjoyed by those who just like to listen and clap along. 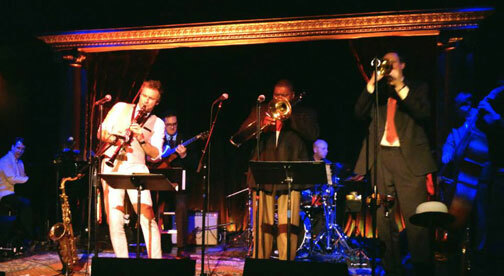 They have performed at Lincoln Center’s Midsummer Night Swing, New Jersey Performing Arts Center, and at such festivals as Bele Chere, MusikFest, and the CD 109 Jazz & Blues Festival. LOCATION: The Studio 912 Belmar Plaza, Belmar. Want to learn some new steps and improve your dance skills for the upcoming dance party? Join us on Sunday AUG 31st. SUNDAY Swing Workshops on Jersey Shore! 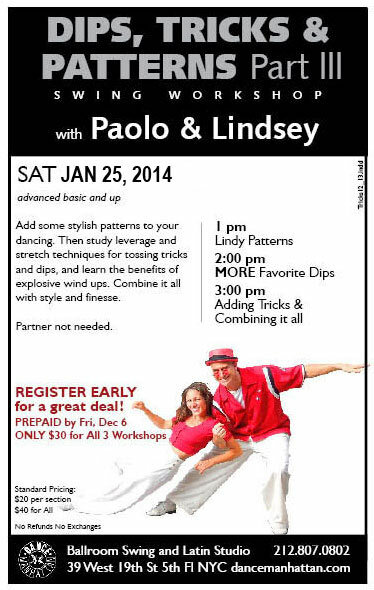 Want to learn some new steps and improve your dance skills for the upcoming dance party? Join us on Sunday AUG 24th & AUG 31st. 7pm Lindy Hop – Swingouts & Swivels (some experience recommended) Steps like the Swingout, Swivels, plus learn how to incorporate fabulous transitions. Paolo and his partner who specialize in the Early Social Jazz Dances of America return to The Hudson River Associations MOONDANCE. These dancers will perform a dance number after the first band set. Add some stylish patterns to your dancing. Then study leverage and stretch techniques for launching better tricks and reps. We'll combine it all together with great style and energy. 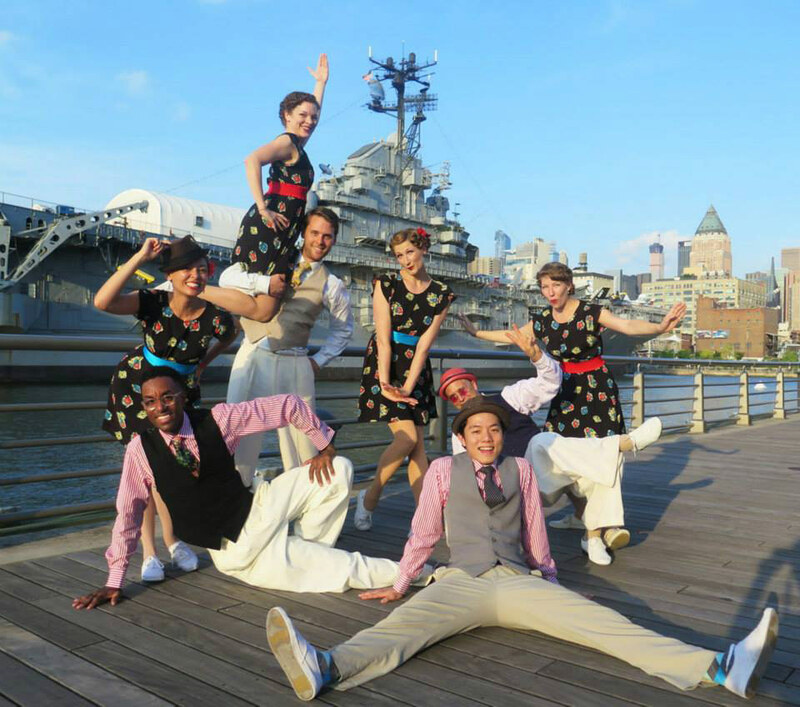 The Rhythm Club Lindy Hoppers who specialize in the Early Social Jazz Dances of America return to The Hudson River Associations MOONDANCE. These dancers will perform a dance number after the first band set. 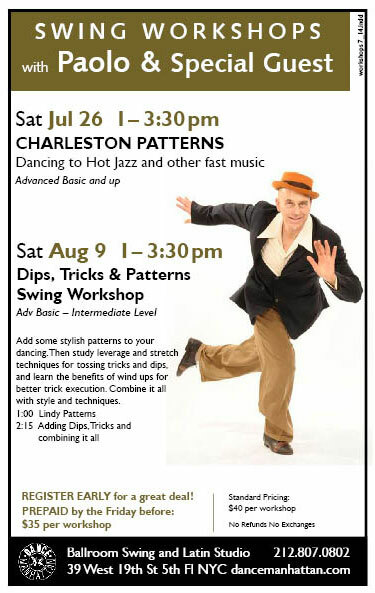 Learn to great techniques and patterns for partner Charleston and them combine it with your Lindy Hop. 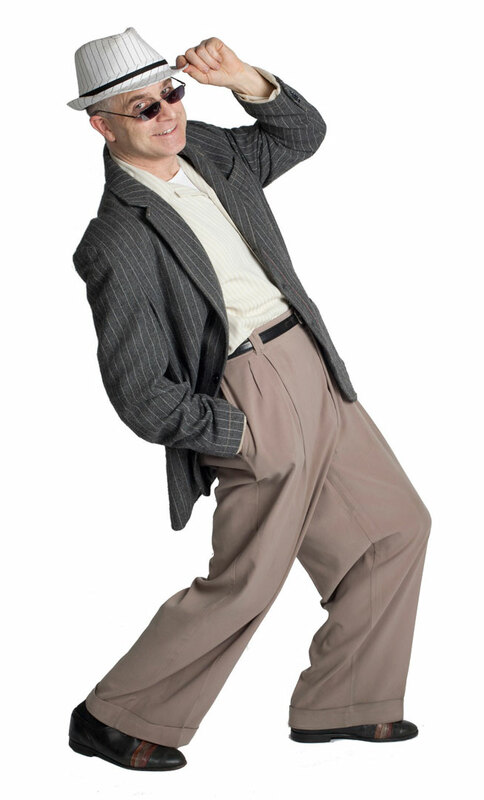 Perfect for dancing to Hot Jazz and other up tempo swing tunes. 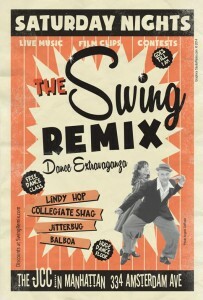 The Rhythm Club Lindy Hoppers who specialize in the Early Social Jazz Dances of America return to Swing 46. These dancers will perform live to Ron Sunshine's Dance Band! 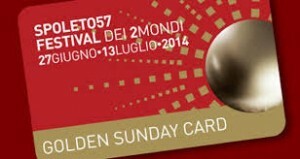 Ray Gelato and His Giants perform at the Umbria Jazz Festival on Sunday July 13th, 2014. Look our for us as we will be dancing on the big stage to some of his tunes! City Rhythm Orchestra plays this night at the Spoleto Festivale Dei due Mondi. Look our for us as we will be dancing on the stage to some of their music LIVE! 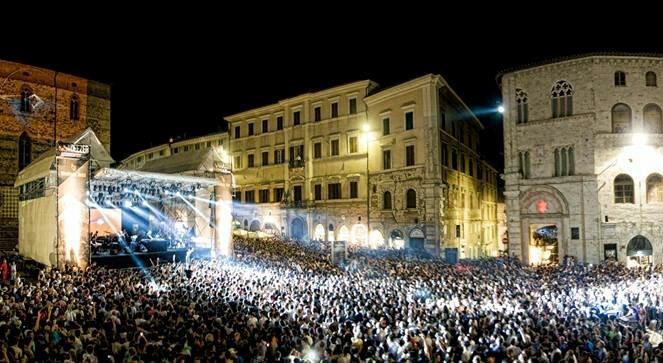 Paolo & Laurentina are joining the City Rhythm Orchestra’s concert Tour in ITALY This Summer! And you can take the TRIP with them! But Act Fast – Just 3 Spaces Remain. We have one lovely Lady looking for a female companion to room with. Contact us asap if interested. Here’s the scoop on this marvelous 8 Day and Night VACATION in Italy. Call 212-0807-0802 to sign up. Discount pricing if purchased by Friday before workshop. You have to go to this website and click LISTEN to hear the show. This All-Star lineup will feature performances to Fan favorites like Sing, Sing, Sing, and Apollo Jumps. Stomp for Frankie will be held in a 6,500 sq ft State of the Art Fitness Center with sprung wood flooring and uniquely decorated for this special dance. 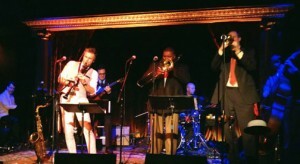 The featured band will be Solomon Douglas and His All-Star Swingtet. There will be a tribute presentation along with some special dance performances. 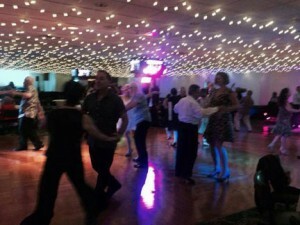 And plenty of space to dance as they are limiting ticket sales to 500 people for this event. 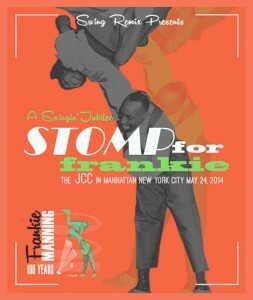 A portion of proceeds will be donated to the Frankie Manning Foundation. In addition there will be a Benefit Raffle with incredible prizes. The JCC is located just 20 blocks north of Times Square and in the neighborhood of Lincoln Center. TICKETS available NOW Advanced price of $16. 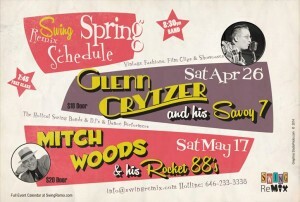 10:45pm Performances, Contests, Give Aways, followed by more Live music! Add some stylish patterns to your dancing. The study leverage and stretch techniques for tossing tricks and dips. Lot's of material and lots of Fun! 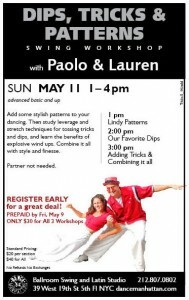 This Upcoming Workshop will be on Sunday May 11th, 2014. The Lindy Hop All-Stars perform the Halftime Show during the GOTHAM GIRLS Roller Derby Match at John Jay College, 899 10th Avenue between 58th and 59th Street at Haaren Hall in Manhattan. The game begins at 7:00 P.M. The half-time performance will be approximately 10 minutes long. Dancers will include: Elaine & Dan, Ben & Shannon, Paolo & Lindsey, Samuel and more! The doors open at 6:00 P.M. and the game starts at 7:00 P.M. 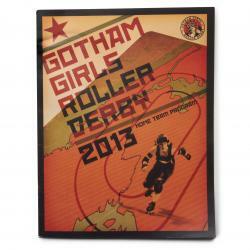 The Bronx Gridlock will be playing the Brooklyn Bombshells. 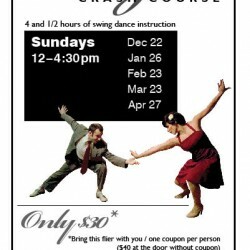 Swing Crash Course Workshop features three fabulous teachers and 4.5 hrs of instruction. The material gets more challenging as the day goes on. And each month the material rotates so you can return again and again and always get a fresh perspective and new things to share. Note: we may be limiting Ticket Sales for this event. We recommend purchasing in advance to assure entry. Dan Levinsons' Jam Session of the Millennium Encore performance on Monday April 21st will be quite the blockbuster event. 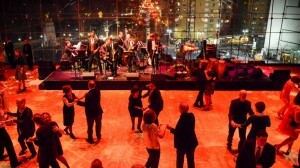 Four Amazing Hot Stompin' Jazz Bands, 14 Musicians and all held at the impressive Symphony Space. I'm happy to note that my design studio created their poster! Be there for be square. 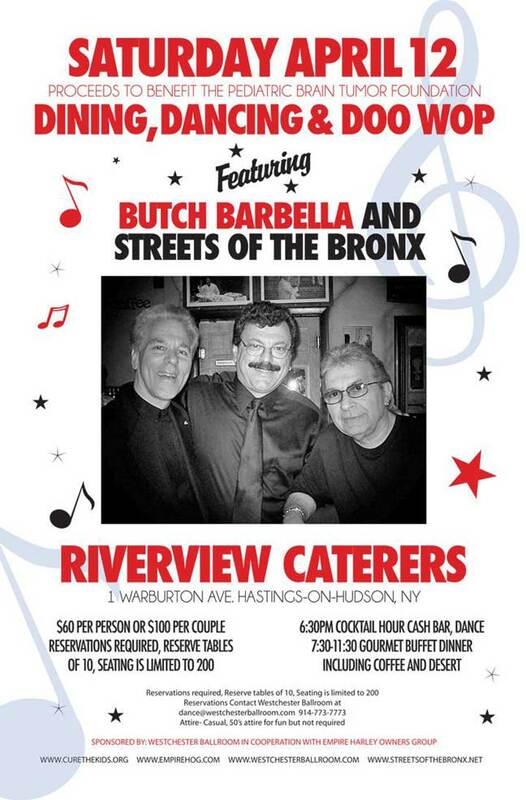 Featuring Butch Barbella and "Streets of the Bronx"
Learn the Swingout, Charlestons & Great Variations! For those who want to learn or brush up on the technique for 8-count Swingouts and Charlestons. 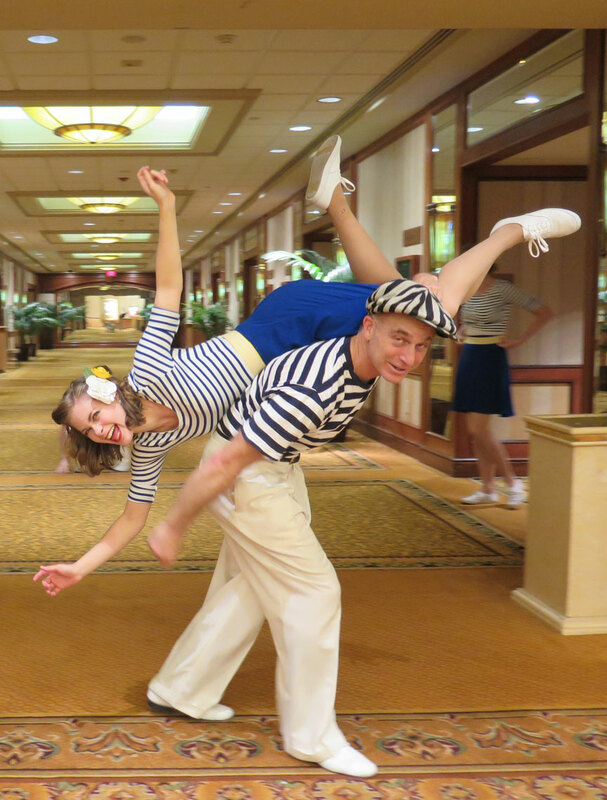 This one-day, three hour course, taught by two award-winning instructors, will focus on teaching and perfecting these two Lindy Hop mainstays and introducing a few variations. An excellent way to take your dancing to the next level and/or fine tune your 8ct. Students taking this class should have a prior familiarity with all basic 6 count elements of the dance . St. Jean Baptiste Church has a beautiful floor, and is right by the #6 subway at Lexington Avenue and 77th Street. There is a bar with beer and wine and refreshments for sale. Add some stylish patterns to your dancing. Then study leverage and stretch techniques for tossing tricks and dips, and learn the benefits of explosive swing ups. 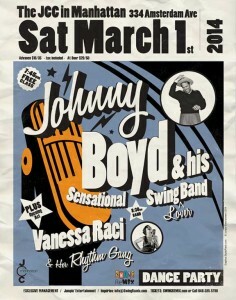 On Johnny: He formed Indigo Swing in the early 90’s and hit the dance-band circuit, bringing boogie-woogie and jump-blues music back from the recesses of memory to a nation crazed with jitterbugging and two-toned shoes. 10:00pm The Rhythm Club Lindy Hoppers to perform LIVE at Swing 46 in NYC 349 West 46th Street NYC Friday JAN 31st 2014 This is the world Premier of the Rhythm Club Lindy Hoppers who specialize in the Early Social Jazz Dances of America. These dancers will perform live to Ron Sunshine's Dance Band!